Located in rural Springfield, Massachusetts, Asian Garden is a charming little restaurant with stylish decorations, warm lighting, and soothing music. Stepping into the restaurant, patrons immediately notice the calming interior. Despite its beauty, the real highlight of Asian Garden is how the dining and kitchen areas are always spotlessly clean. Asian Garden’s lengthy menu lists a repertoire of food stretching across the culinary spectrum, including many Chinese classics, and even ethnic Vietnamese and Thai dishes. Besides the usual entrées like lo mein, chow mein, fried rice, Sweet & Sour Chicken and Kung Pao Chicken—the menu also features some innovative items that will surprise and invigorate patrons. The Seafood Bird’s Nest is a different interpretation—a combination of shrimp, scallop, lobster, water chestnuts, broccoli and snow peas served on a bed of rice noodles, which looks just like a “bird nest.” Another crowd pleaser is the Four Ocean, a light-flavored dish incorporating many seafood varieties into a bowl crowned with an assortment of vegetables. Customers are always looking for new tastes and flavors. They tend to seek something more exciting than the usual traditional dishes. Fusion cuisine came into being and was brought to thousands of kitchens across the globe. 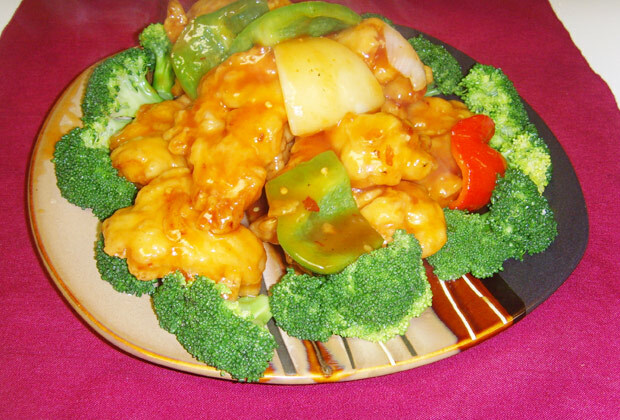 Asian Garden carries exciting fusion cuisine and a bevy of ethnic offerings. The Green Curry with Prawns ($9.95) and Panang Beef Curry ($8.95) are among the highly-acclaimed dishes. These dishes can be found at many restaurants, but the versions prepared at Asian Garden are even more jam-packed with flavor due to the chef’s masterful use of curry and coconut sauce. Don’t forget the Vietnamese offerings! The fresh spring roll, tasty Pho Tai (tasty soup with rare steak, and fresh rice noodles), Pho Bo Vien (Soup with tender beef meatballs and rice noodles), and Bun Bo He (Hot and spicy lemongrass soup with chicken or beef) are some of the strongest items on the menu.